In Episode 4 we finally saw the fruits of our labor – TDD-style. What’s left? We need to come up with some code for the front tiles / segments. Let’s get right to it. Here the first test. 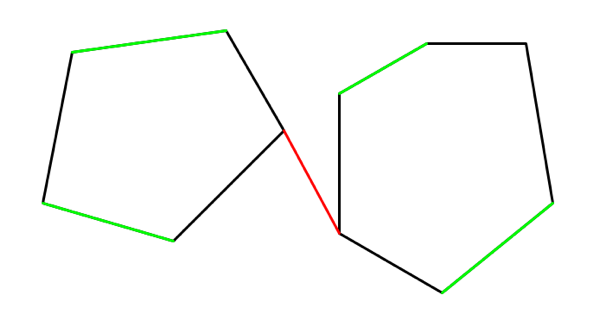 We assume that there’s class FrontModel with a method GetOrigin(), which returns the position of the leftmost bottom front tile. This is another one of these “Get’s us going” tests. Not an awful lot of thought need to make it pass, but it puts us in the right mood for the next challenge. What’s next? Look at the “spec” in Episode 0, it looks like the front tiles are made of rows and columns – but let’s not jump to conclusions yet. Dr. Bob is just a quack, not a CS major. The next simple test which comes to our mind is checking for the position of the second front tile – which should be located to the right of the first front tile (we assume that both tiles fit into the cabinet, of course). In order to calculate the second tiles position, we need the width of a front tile. 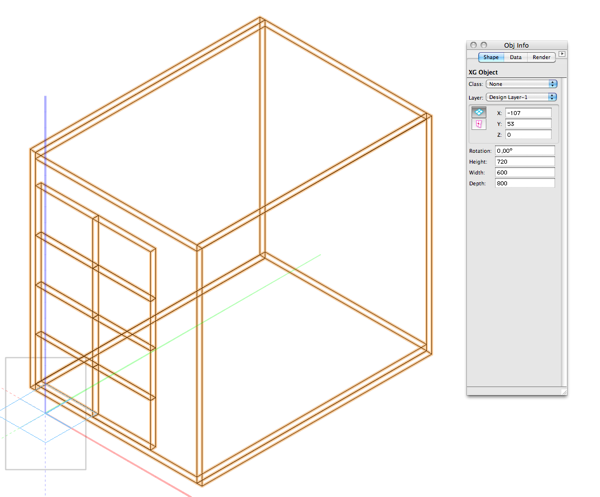 For now, we’re accessing SimpleCabinetModel::kSegmentWidth from FrontModel::GetPositionOfSecondSegment() for this purpose. Doesn’t feel absolutely right yet, but we’re confident that this will be smoothed out over the next tests & episodes. Let’s start with the plug-in object’s Recalculate() function. 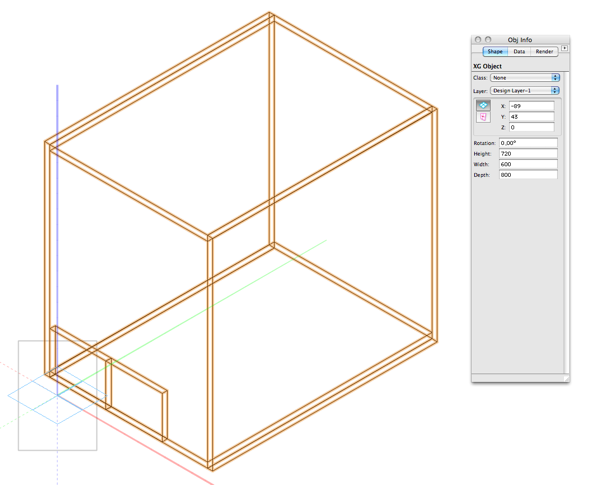 We spice up SimpleCabinetCreator a bit, as we need access to both the SimpleCabinetModel and FrontModel. Asking SimpleCabinetModel to “fill in the blanks” in FrontModel didn’t feel right, so let’s change it and pass the origin as a parameter to FrontModel‘s constructor. Way better. 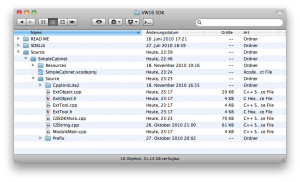 Firing up Vectorworks 2011, we are supposed to be – once again – pleased with the results. However, a closer inspection reveals that the front tiles collide with the bottom board – ah, we forgot the tiles z position in our model. Looks good so far. The main takeaway point is that the Creator class shouldn’t do any calculation. 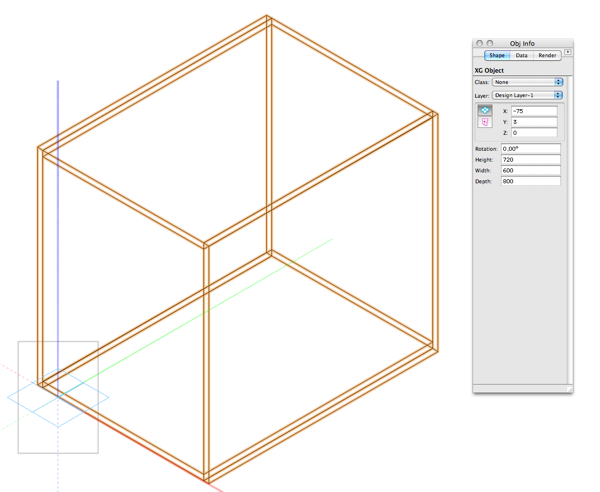 It should be translating the model straight into Vectorworks geometry without any logic on it’s own. 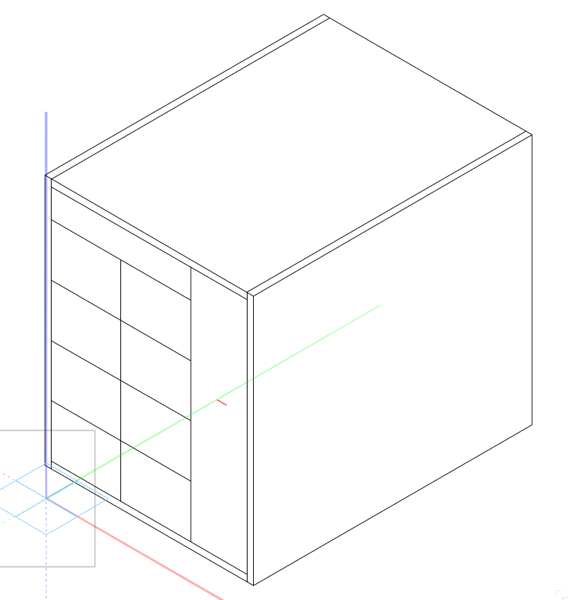 While we’re at it: How about renaming SimpleCabinet to SimpleCabinetModel? 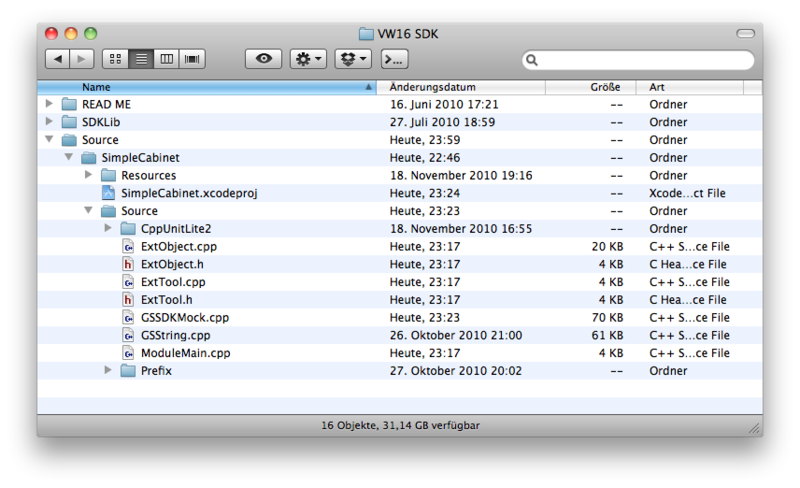 This would be a nice symmetrical way of naming the classes: SimpleCabinetModel and SimpleCabinetModel. Let’s do that. Sounds like a great way to end this episode. Let’s see if we can add the front tiles in the upcoming episodes. TDD-style, of course. Make sure to tune in next week when you hear Dr. Bob say: “A third class? I’m a quack, not a CS major.”.